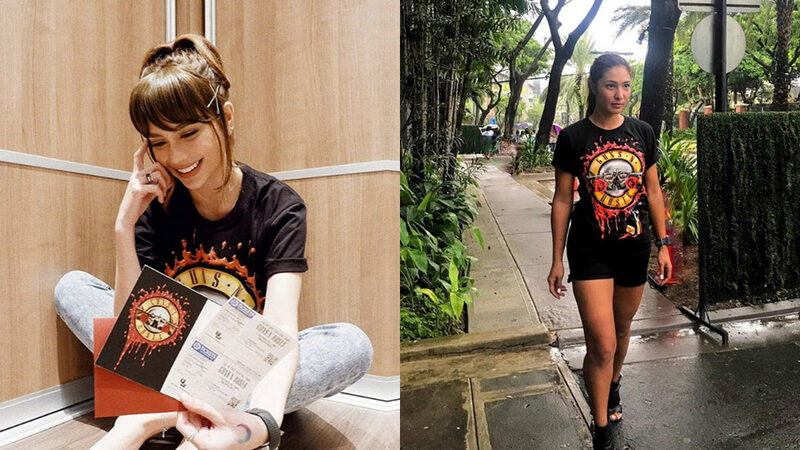 Some of your favorite celebrities, models, and artists rocked out with the living legends of Guns N’ Roses in their Not In This Lifetime Tour yesterday, November 11, at the Philippine Arena. Guns N’ Roses, often abbreviated as GNR, formed way back in 1985 with Axl Rose on vocals, Slash as the lead guitarist, rhythm guitarist Izzy Stradlin, Duff McKagan on the bass, and Steven Adler on the drums. The legendary band themselves were excited to perform in the Philippines, tweeting their hype for the Filipino crowd.